GenslerOnWork examines the modern workplace and how design can help us become more engaged and productive as we earn our livings. DLA Piper Chicago. Photo: Steve Hall © Hall+Merrick. The central challenge confronting Legal and Management Advisory firms today is one of continuous and transformational change. For these clients, a prime differentiator will be the degree to which an organization makes visceral its cultural promise, and how effective it is at framing its purpose and identity. 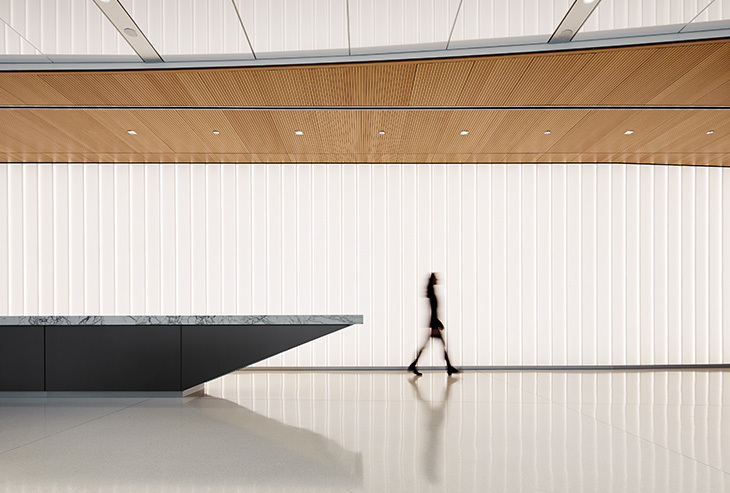 Careful attention to a design’s physical form—the “beautiful” sequence of spaces and experiences—can profoundly elevate a workplace’s purpose and value, engaging the user on a deep, emotional level. 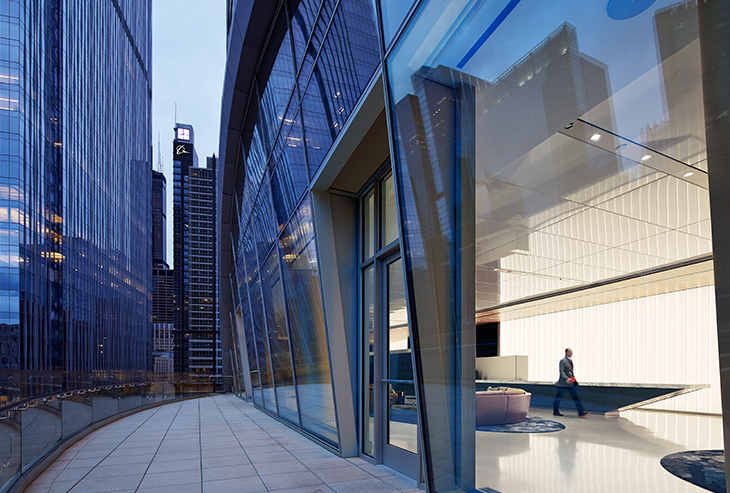 DLA Piper’s Chicago office. Photo: Steve Hall © Hall+Merrick. This is the first entry in a two-part series exploring how the design dichotomy of the smart and the beautiful plays out through the example of our Legal and Management Advisory clients. When looking at the future of workplace design, the central challenge that confronts progressive organizations is one of continuous and transformational change. To stay ahead of change, the next intelligent workplace must move beyond collaborative environments towards providing a more immersive, tailored experience. For tomorrow's workplace, the prime differentiator will be realizing a firm’s cultural promise through the physical form and sequence of its space. If a constant shuffling of desks in your workplace seems like it’s become the new norm, you’re not alone. In 2017, clients of Gensler’s space and occupancy management platform, Wisp, experienced a 49 percent churn rate: half of all occupants moved desks at least once last year. That’s a lot of movement for facilities teams to keep up with. Whether it is due to space needs or efforts to improve performance, a by-product of churn is its impact on data integrity within workplace management systems. West Midtown’s Miller Union Stockyards harmonizes the city’s industrial heritage and creative-class leanings. The revamped interior of a former slaughterhouse is now a multifaceted workplace for three inhabitants all in marketing and communications. Ad agency Fitzgerald & Co., brand experience group Momentum Worldwide, and PR and communications firm Weber Shandwick are all housed together in the 45,000-square-foot space. Southern charm and the high-octane world of Red Bull collide for an enthusiastic atmosphere in their new Atlanta office. The office enhances their employees’ experiences by celebrating its local dedication and passion to its Southern customers.